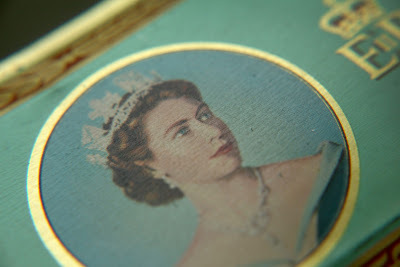 I'm not sure what it is about coronation and jubilee memorabilia that I like so much, but the moment I saw this tin commemorating the Queen's coronation on eBay I knew I had to have it! It currently houses some of my button collection! 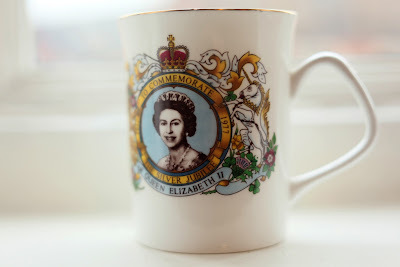 I then came across a mug celebrating the Queen's Silver Jubilee - 25 years on the throne - in the local British Heart Foundation charity shop and at £1.50 I had to have that too! 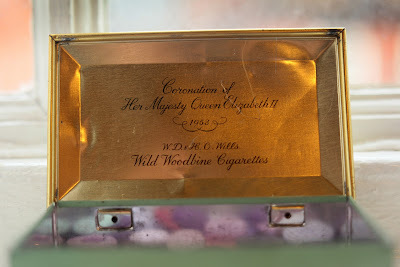 Perhaps it is the sense of heritage about these pieces which draws me in; like many British people I have an affection for the Queen and now that she is within striking distance of Queen Victoria's record as longest reigning monarch at 63 years I hope she surpasses it. 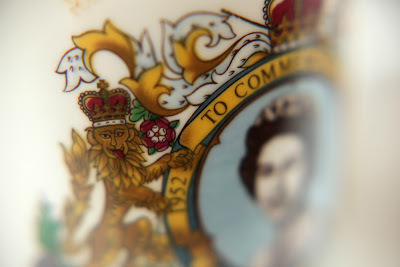 Hi Jem, Just stumbled across your blog and wanted to say hello since you live so close to me (I'm from Derby) and because I like your blog too. Victoria - eBay/charity shops are just havens of fantastic stuff aren't they!? 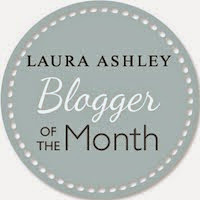 Your blog is right up my street - really like your latest post :-) I'm new to Derbyshire but finding it a lovely county so far! How apt! I (finally) went to see The King's Speech last night. I love your finds! Great finds! That tin will come in handy. 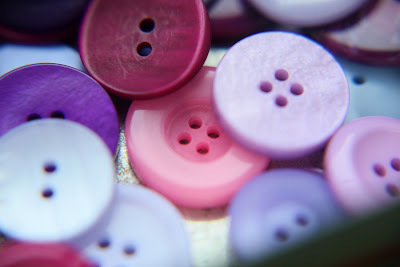 Design Elements: Thank you :-) I just took a look at your blog and it is full of inspiration! Monkey - The King's Speech was so far beyond my expectations and the best film I have seen in a very long time - fab performances. 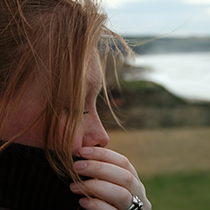 Anna - You're welcome - I loved your post on iStudio, so beautiful! Your website also took my breath away! 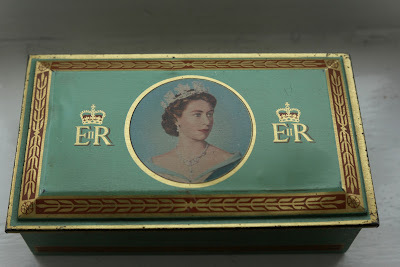 I have a few of these Royal collectibles too! I will have to get them out and take pics to share soon! Love the tin especially!